The August full moon goes by many names: Sturgeon Moon, Corn Moon, Wort Moon, Grain Moon, and Hazel Moon. The different names for full moons come from different cultures, histories, philosophies, and places. In our monthly moon series, we’ve borrowed the names from the Celtic Tree calendar. 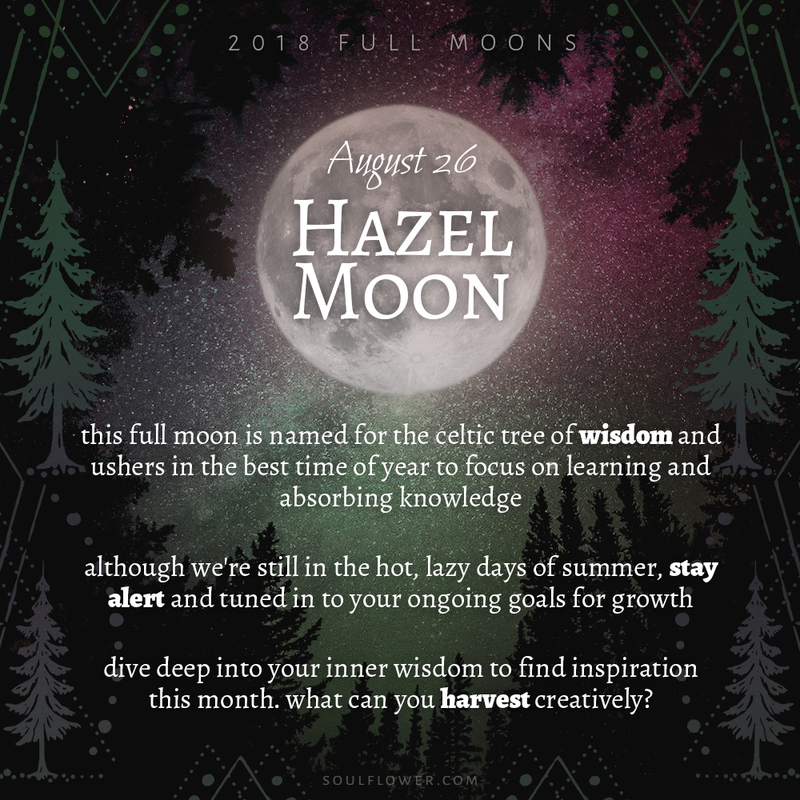 This month’s Hazel Moon (named after the Celtic Tree of Wisdom) aligns perfectly with back-to-school season! dive deep into your inner wisdom to find inspiration this month. what can you do to harvest creatively? The Moon is our closest celestial neighbor. It’s a constant reminder of the bigger picture: the vast universe out there and each of us, here –together– on this one planet. In this one solar system. In this one galaxy. Out of billions. 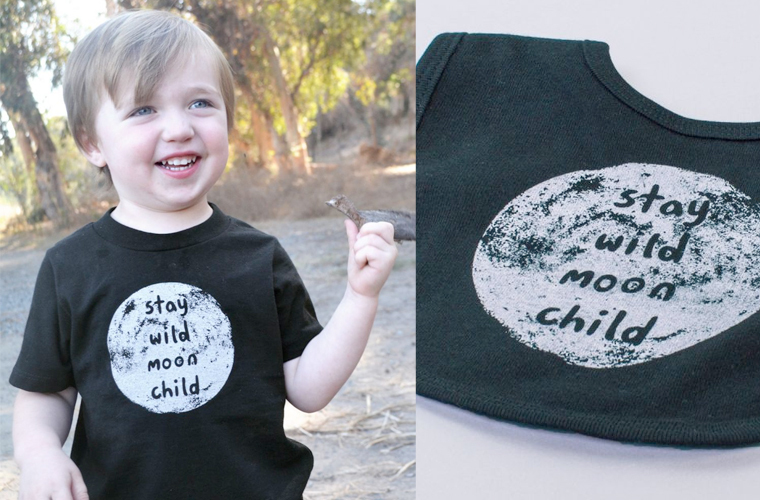 Make your days and your nights count buds and enjoy this August full moon!